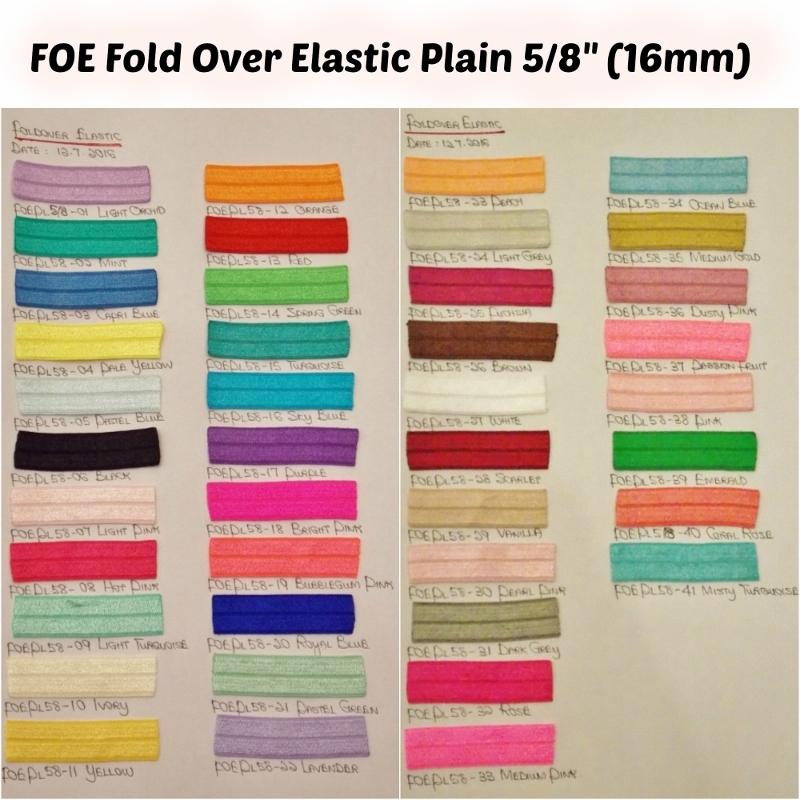 Fold Over Elastic or FOE available in our shop. There are over 40 colors in stock and we sell these by meter. These FOE are used for making baby headband, head ties, bows, trims for clothes, bags, accessories and shoes. 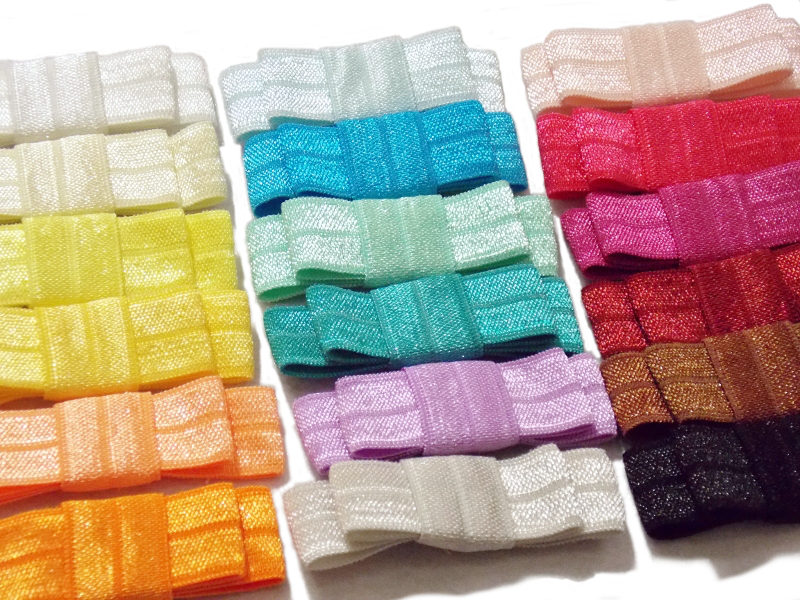 To make a baby headband, you can cut 33cm length of your desired color and glue the ends together. Then attached a flower or bow. Yes! It's as simple as that. 1 meter makes 3 pieces headband. However we like to cut 35cm to make a baby headband. As babies grow so quickly, we find 35cm is a better fit, so customers order 1.05 meter to make 3 headbands. When you order, do inform us the length. If you decide to make your own bows, do contact us for a tutorial or click here. This is a simple tutorial using Petersham Ribbon 9mm (3/8") width. 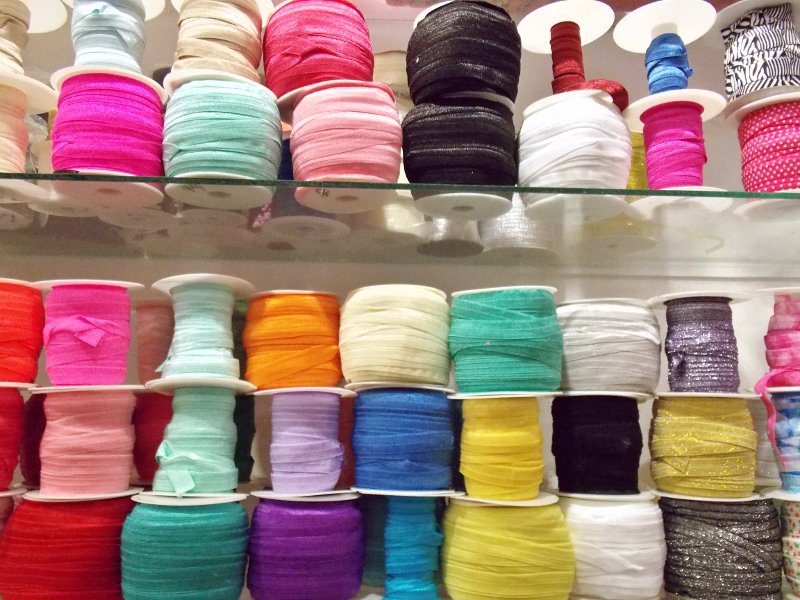 We have reels of ribbons in our shop which we sell by meter. When there are leftovers from the middle or end of the reel, we keep all these scraps in a bag. But the bag is filling up pretty quick. 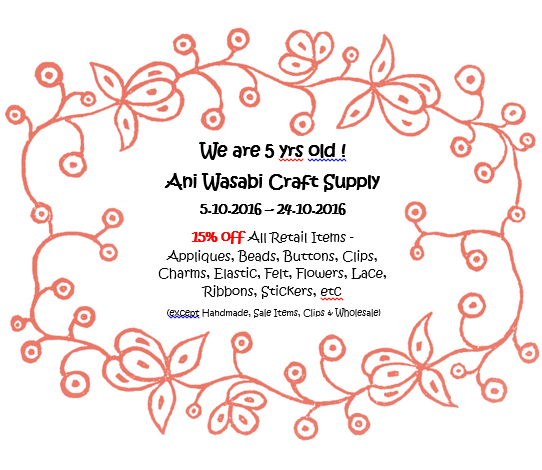 Our customers told us they have a lot of scraps at home too, from their crafting projects. So we came up with a tutorial for our customers, using 3cm of Petersham Ribbon x 1pc and 9cm of Petersham Ribbon x 1pc. We attached these bows to a 4cm Alligator Clip lined with a 7cm Petersham Ribbon. 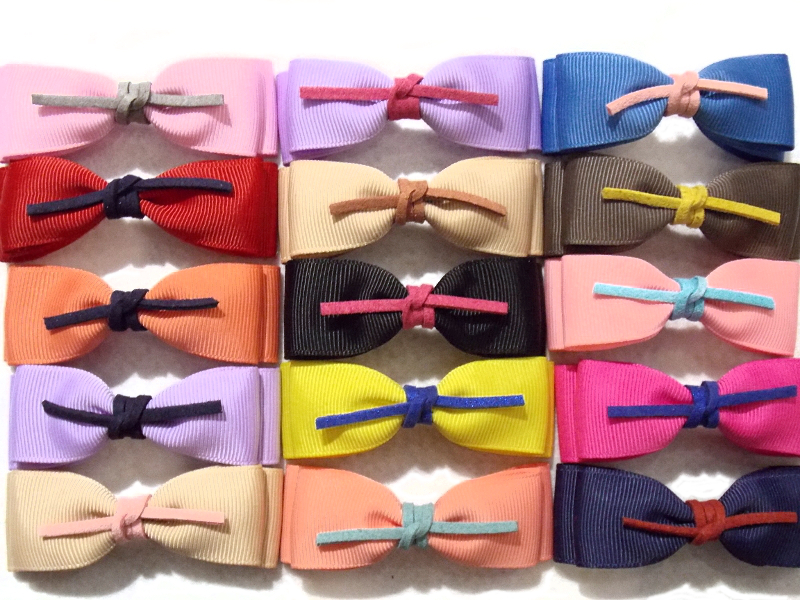 Grosgrain 1" 2Layer Bow with Suede Cord. Each bow measures 8x2.5cm. FOE 2Layer Bow which we made with scraps of fold over elastic. Each of these measures 5.5x1.6cm.